A seascape of coconut trees on the beach with Mokoli'i Island, also known as Chinaman's Hat, in the background. 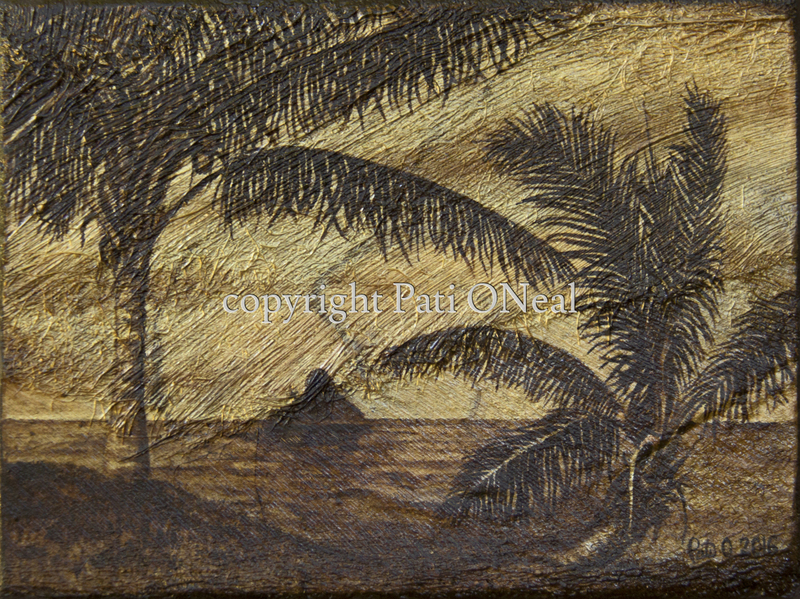 This depiction is painted with oil paints on a prepared ground of guinit (coconut tree fiber) mounted on a cradled birch panel. Original is available, contact the artist for purchase information or for a similar commission.